A few weeks ago, IPRU released results and an interactive map of dooring incidents reported by NZ police. Today we report on dooring incidents derived from a “keyword” search of three years of Accident Compensation Corporation data (ACC) data. The query request was initiated by the IPRU (Professor Weiss) and refined and run against claims data by ACC analyst Zhi-ling Zhang, which we gratefully acknowledge. Most of this report is derived from Mr. Zhang’s summary. Though the data are not geographically based, and thus not geo-coded and mapped like the police data, it is richer in a few details about the person and the costs and levy sources of this separate but overlapping set of dooring related incidents. ACC data appear to capture three times as many cases than police data, even though it itself likely under-counts dooring related cyclist injury in New Zealand. 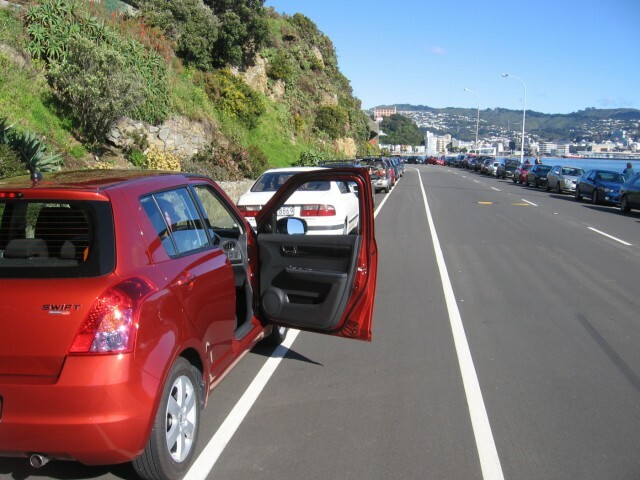 Inclusions – A dooring injury is one associated with a door of a parked car that is opened in front of or into a cyclist. The injury mechanism could either be a direct collision between the cyclist and the car door or if the cyclist tried to avoid the car door but subsequently crashed with another other object such as the ground or other vehicle. Most of these latter types of crashes were probably not picked up by the previously released police data because of the way those data are coded. Exclusions – Cases were excluded if the narrative indicated an injury to the car occupant (there were four such injury events over the study period) and if the injury occurred overseas. Partial Costs – The costs included the total payments from ACC to the claimants or health providers for the injury events, from the date of injury event to the end of February 2013, when the data were queried. Cost of treatments in public hospitals for any acute phase are not included in these data. Numerator data – Three years of ACC claims were examined, from 2010 to 2012. Two criteria were used to focus on (bi)cycle injuries The first were cases directly coded as cyclist injury in the ACC claims data. Secondly, cases were selected by examining cases with the key words “cycl”, “bike”, “biking” and “bicycle” and without the keywords “motorbike”, “motorcycle” and “quad bike” if they appeared in the incident record. Denominator data – Dooring injuries were selected by a two step process. If “door” was mentioned in the accident description of a cyclist injury, the event was considered a potential dooring injury. The case narrative was then manually examined to determine if it met the above case definition by the ACC analyst. 451 cases were identified for a mean of 150 dooring cases per year. 41 (9.1%) cases were hospitalized. Males comprised 63% of the cases. Dooring injuries comprised only 0.29% of total ACC cyclist injuries estimated in the period. Note that cycle injuries used in this denominator could have been off road, on lawns, on drive ways, or even stationary, i.e., they are not necessarily traffic or even transport related (repairs, tripping over, pinched by, etc). The partial cost of payouts for the dooring injuries that occurred in the three year period was $408,372 (so far). Around 88% of the cost (71% of the cases), are funded by motor vehicle levies, 12% of the costs (from 29% of the cases) are funded by the non-earners and earners levies. Dooring injuries identified from free text are very likely to be underestimated. For example if the accident is described as “riding bike into door of parked car”, the case was excluded since it could not be determined whether the car door was opened or not. For the denominator, about half of cyclist injuries are estimated from key words such as “bike” or “biking”. Due to large numbers of these events, the free text was not reviewed. Therefore, total moving cyclist injuries are likely to be over-estimated. ACC data captures three times the number of dooring injuries as police data, though overall the population does not appear to be much different in terms of age and gender. About 30% of the cases and about 12% of the costs of the partial non-hospitalised payments are not borne by the Motor Vehicle Account. These data provide an important additional context with which to understand the incidence, nature and funding sources for the costs of bicycle-car dooring related injuries in New Zealand.